Lyndon’s citywide garage sales are Saturday. 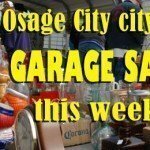 A map is to be distributed showing addresses of garage sales, but it’s not too late to list your sale on Osage County News. 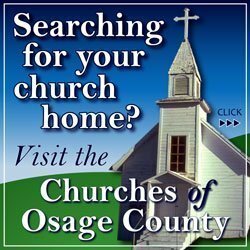 For all personal yard or garage sales in the county, Osage County News offers free ads, making it easy for local buyers and sellers to connect. To place a garage or yard sale ad, simply click here to go to the Garage Sales page. There you will be able to use the comment feature to place your own ad. It’s simple to place a free ad: Include the times and dates of your sale, street address, city and detailed directions if the sale is in a rural area. A listing of items for sale may also be included, but sellers are asked to limit their ads to 50 words or less. Free ads will be restricted to sales in Osage County or nearby towns. Posting an ad requires that you sign-in with an email address or social media accounts such as Facebook or Twitter. Once your ad is posted, remember to share the Garage Sales page link on your Facebook or Twitter pages. Post-your-own ads will be reviewed by the comment moderator, which will result in a delay before they appear. Ads will be deleted from the site when the sale date has passed. 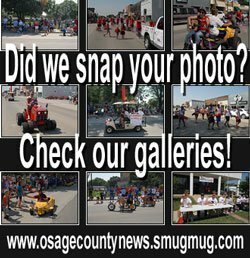 For more information, or to advertise other products, services or events, contact Osage County News at 785-828-4994 or email [email protected].